QUOTE | “Change will be a constant in Star Wars: Battlefront II” - The title of a blog post by DICE executive producer John Wasilczyk that went up on Monday, explaining that EA was reducing the cost of unlocking heroes in the game in response to feedback from upset fans. QUOTE | “If we had a live service on [Battlefield 4], and we could keep people engaged, give them even more to play them, we would also be able to try and monetise them over time. That’s a huge opportunity, to continue to build the live-service piece of our business.” - EA CFO Blake Jorgensen on Monday, apparently unhappy that people are still enjoying an EA game years after release without continuously paying for the privilege. QUOTE | “Lots of people told us we shouldn’t do this as it wasn’t going to go like we hope it would.” - EA DICE multiplayer producer Paul Keslin in a Reddit AMA on Wednesday in which Star Wars: Battlefront II developers addressed monetization complaints. QUOTE | “We hear you loud and clear, so we’re turning off all in-game purchases. We will now spend more time listening, adjusting, balancing, and tuning.” - DICE general manager Oskar Gabrielson, in a statement Thursday night, just hours before the launch of Star Wars: Battlefront II. 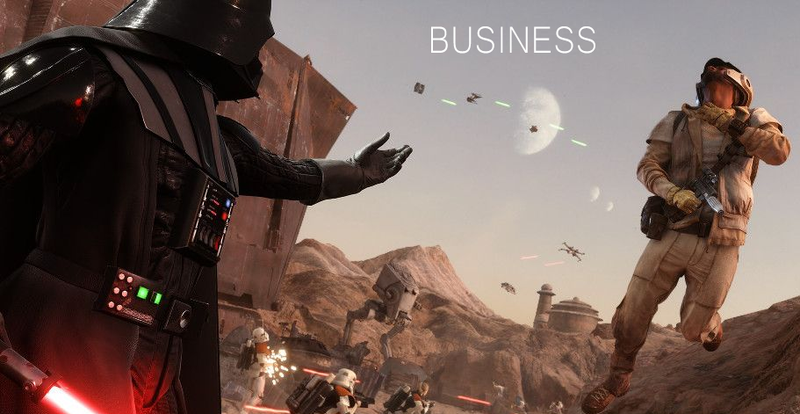 QUOTE | “It’s a perfect storm of internet dribble and misinformation picked up by amateur media eager to fling dirt at a game company.” - Superdata CEO Joost van Dreunen on Friday, saying Star Wars: Battlefront II’s microtransaction controversy shouldn’t hurt sales of the game. QUOTE | “While the episodic nature of the main story campaign received major praise from the press and many gamers, it wasn’t necessarily everyone’s cup of tea. What did really work wonders for the game was the live model.” - IO Interactive CEO Hakan Abrak says the studio’s approach to live services was one of the big successes of last year’s Hitman. QUOTE | “You always hear, ‘Oh, the first Tomb Raider reboot was not a financial success because it didn’t sell 8 million copies’ or something ridiculous. And I’m like, ‘Wow, that seems really high for anything that doesn’t have the zeitgeist kind of like PUBG or something crazy that just blows out of the water.’” - Vigil Games design director John Pearl says there’s still a place for big single-player games like his studio’s Darksiders III, but they need to have realistic sales expectations. QUOTE | “It’s tough because we actually, as a company, make more money selling it at that lower digital price because there’s not all of the cost of goods and all of the shipping costs and taxes and retailer fees.” - Studio Wildcard co-founder and co-creative director Jesse Rapczak explains why Ark: Survival Evolved’s $60 retail price doesn’t leave the studio much better off than the original $30 downloadable price. STAT | Nearly 80,000 - Xbox One X units sold in the UK during the system’s first week. PS4 Pro launch week sales amounted to 50,000 for its UK debut last November. QUOTE | “So we’ve really gone from designing rollercoaster rides to designing theme parks, and that’s what excited us.” - Guerilla Games art director Jan-Bart van Beek describes the shift from making wide linear shooters like Killzone to open-world action games like Horizon: Zero Dawn. QUOTE | “We always had the attitude that this is what we wanted to make. It’s just a question of finding a way to do it, and being willing for that stuff to fail.” - Ninja Theory commercial director Dominic Matthews talks about the risks involved in making Hellblade, like the studio’s decision to handle motion capture in-house.